With the cloud, Partners In Health can now communicate with its staff much faster – even in the most remote corners of the world. Microsoft’s nonprofit partner CONIN uses Microsoft Azure and the cloud to help eradicate child malnutrition in Salta, Argentina. The complete cloud for social good, now available to #nonprofits through a donation or discount: https://blogs.microsoft.com/on-the-issues/? As the reach and capabilities of cloud computing continue to expand, so too does its potential to better serve the people and organizations working to address vital issues facing our planet and its populations. More and more, we are seeing nonprofit organizations utilize the fuller capabilities of the cloud to pursue their missions. And, as the examples below demonstrate, the cloud is unlocking benefits such as insight, agility and operational efficiency that are enhancing nonprofits’ ability to help those who need it most. That’s why I’m pleased to share that Microsoft is taking another step in fulfilling our $1 billion commitment to ensure that our cloud serves the public good. Today, through Microsoft Philanthropies, we are making Microsoft Azure broadly available to eligible nonprofit organizations by offering Azure credits. Microsoft Azure’s cloud services help organizations accelerate innovation with integrated intelligence that powers insights and decision-making, supports a broad selection of operating systems, and provides industry-leading security. This offer adds to the existing comprehensive suite of Microsoft cloud services that are available to nonprofits to empower their missions. As we prepared to roll out Azure, my team and I met with several of our nonprofit partners who have been utilizing its capabilities to increase their operational efficiency and impact. One such nonprofit partner, CONIN, is working to eradicate child malnutrition in Salta, a remote region in Argentina. They’ve shared that Microsoft Azure has enabled them to gain a greater understanding of on-the-ground realities through detailed mapping of children’s needs and organizational resourcing by region. The resulting insights have allowed CONIN to reach more at-risk families, with better solutions, before they fall through the cracks. “Technology makes us much faster and enables us to have every child in the system,” says Teresa Cornejo, president of a CONIN network in the city of Salta. Paper surveys have been replaced with a digital, cloud-based polling solution, helping CONIN identify and support families with nutritional, educational and medical needs. As another example, Partners In Health (PIH) is using Azure and other cloud solutions to improve its delivery of critical health services around the world. By moving their servers to the cloud, PIH was able to save $250,000 in IT costs because they no longer need to maintain their own servers. And every dollar saved on IT is another dollar that can more directly serve those in need. Beyond dollars saved, the Microsoft Cloud is helping PIH better address complex crises. 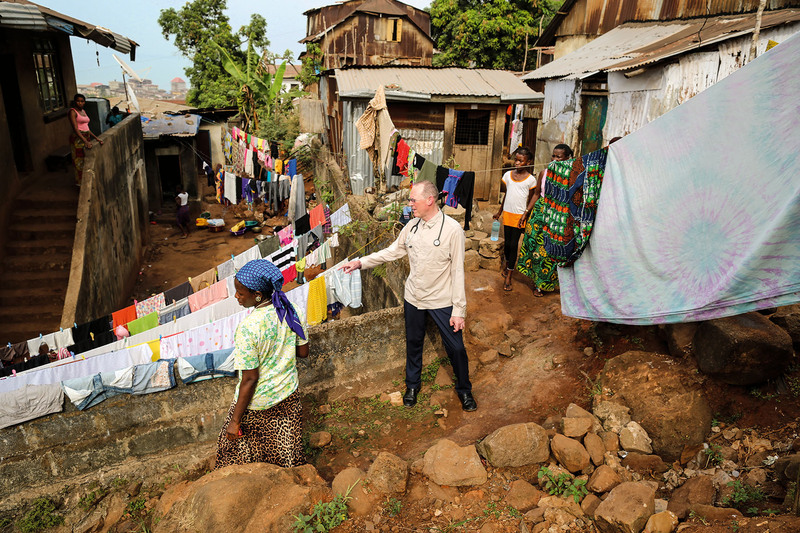 For example, when the Ebola outbreak in West Africa happened, PIH needed to immediately mobilize the experts and caregivers in its network to begin saving lives. Ebola was spreading at an alarming rate and there wasn’t much information available to those at risk in Sierra Leone and Liberia. In these situations, reliable communications can mean the difference between life and death. PIH’s use of Office 365 enabled them to more effectively communicate, collaborate and coordinate their team to address the crisis. CONIN and PIH are compelling examples of how the Microsoft Cloud can empower nonprofits to achieve their missions with greater insights, capabilities and efficiency. That means outcomes for families, children and the planet improve. The nonprofits we serve are not only inspiring, but their impact fuels our determination at Microsoft Philanthropies to marry the full power of cloud computing with the passion of the people and organizations who are working to address the world’s most pressing issues.